In this May 26, 2005, file photo, shoppers leave the Costco store in Chicago. 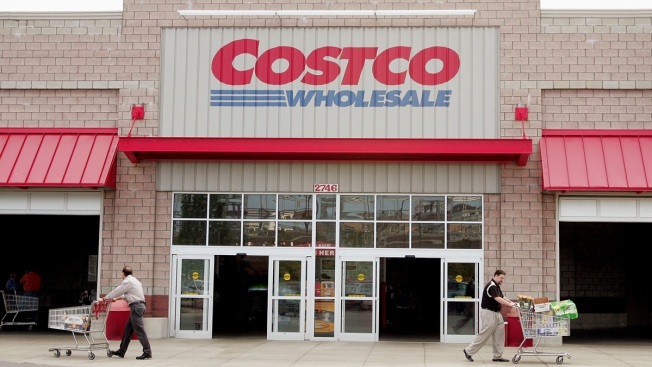 In her ruling, Manhattan judge Laura Taylor Swain wrote that upper management at the wholesale club “displayed at best a cavalier attitude toward Costco’s use of the Tiffany name” when selling about 2,500 rings, The Washington Post reported. In a 2015 trial, Costco argued that the word “Tiffany” had become a generic descriptor used to define a specific style of engagement ring. Nevertheless, the jury concluded the retailer had unlawfully taken advantage of the Tiffany brand to generate $3.7 million in profits over several years. “This was not a case about counterfeiting in the common understanding of that word — Costco was not selling imitation Tiffany & Co rings,” the company added in a statement. The rings in question were first brought to Tiffany’s attention by a customer in 2013. The original complaint filed that same year states, “There are now hundreds, if not thousands of people who mistakenly believe they purchased and own a Tiffany engagement ring from Costco,” CNN reported. Costco has since tried to refute this, pointing to the fact that out of approximately 2,500 buyers, Tiffany was able to identify fewer than 10 who said they had misunderstood Costco’s signage. "The rings in question were not stamped or otherwise marked with the Tiffany & Co. name (but rather were stamped with the name of the company that manufactured them)," Costco said. "They were sold in plain beige and brown wooden boxes (rather than with blue boxes or bags that said Tiffany & Co.); they were accompanied by appraisal documents that did not mention Tiffany & Co., and with sales receipts that did not say Tiffany or Tiffany & Co. Notably, Tiffany & Co. did not claim in the lawsuit that it lost a single sale to Costco as a result of any sign." The decision sends the message that "Tiffany is much more than a name. It stands for responsible sourcing, exacting standards and exceptional craftsmanship."